Our annual Chalk Talk Super Bowl Ad review was held February 9th at 415 Westlake. 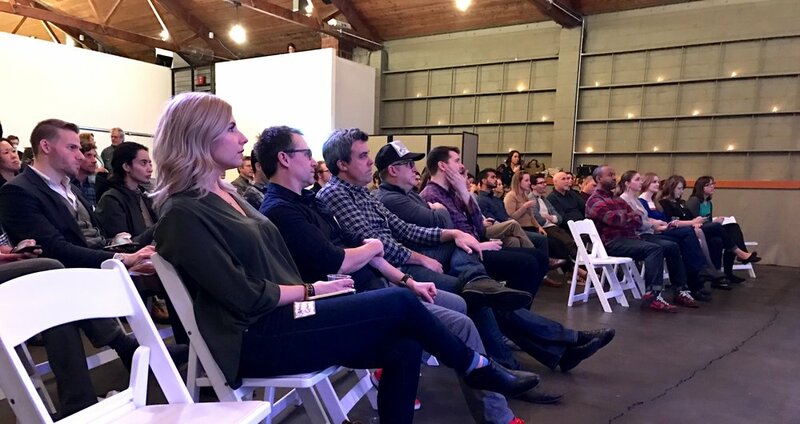 This year's event brought a critical focus to each ad's creative motivations and business goals, with moderator, panel, and audience keeping the discussion highly involved. Thanks to Chris Copacino for moderating, to panelists Emily Cushman, Nick Gesualdi, Patrick Mazzotta, Patrick McKay, and Adam Nowak for their astute observations, to our drink sponsor, Hand Crank Films, for keeping us well lubricated, and to everyone who attended and tweeted and voted for making this always such a unique and cool experience. See our Facebook photo album for more, and don't forget to tag yourself. Our first interactive voting form gave us some idea of how our own audience felt about the ads. 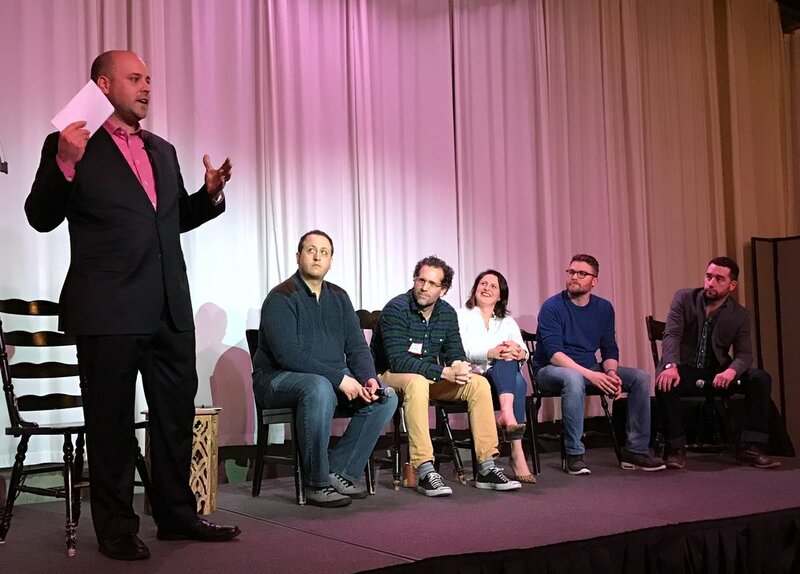 Most Liked: GoDaddy, Aflac "Ski Patrol"
Divided: Intel, Sprint, T-mobile "Unlimited Moves"
Our full voting recap gives more detail. Chalk Talk is a special event because it involves the audience at every chance. Your #AAFChalkTalk tweets entertain us during the game and inform our panel's discussion at the event. Check out the tweets from Super Bowl week, from game time all the way through our event. If you attended the event there's still time to give us feedback in our event survey so next year will be even better.